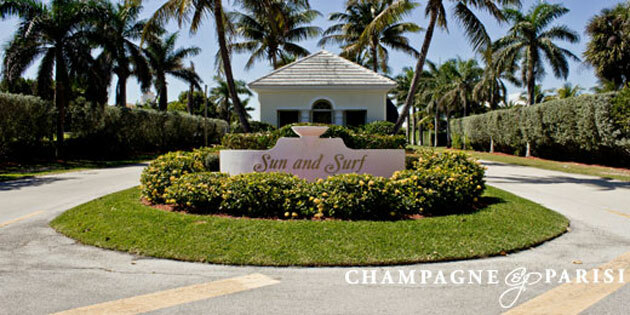 Sun and Surf is an exclusive waterfront community located a premier beachside location in Boca Raton, FL. This luxurious community is located on the east side of the Intracoastal Waterway, nestled amongst tranquil canals and within walking distance to the beach. Known as a boater's paradise, this neighborhood features private deep water docks able to accommodate vessels of up to 100 feet, with almost every home situated on deep water canals or the actual Intracoastal. If you would like to learn more about Sun and Surf homes for sale or any other waterfront homes in Boca Raton, FL, please call us at 561-998-9015. You may also reach us by completing the brief online contact form provided below, and one of waterfront real estate specialists will reach out to assist you. We at Champagne & Parisi Real Estate look forward to assisting you in finding the home of your dreams in Boca Raton, FL! Click here to view all Boca Raton communities.